An important concept that’s here to stay in our food production and consumption standards is ‘traceability’; which means that the food on our plates can actually be traced back to the farm on which it was grown. This has given rise to the terminology ‘farm to fork traceability or food traceability’. Traceability can be considered one of the best practices that have evolved in our food and agricultural systems, because it enables consumers to make informed choices about how the food was farmed and sourced, the ingredients that have gone into them, and the role of every player along the way. Yet, traceability as a process didn’t evolve out of anything. It came into existence because food safety was becoming a growing concern for citizens of many countries, and its origins began with non-agricultural products. It was a perfectly justifiable concern, no doubt, owing to past incidents of outbreaks of diseases in animals, such as avian flu among poultry and foot and mouth disease in livestock. Some of these diseases are susceptible to being transmitted to humans; and with more and more people traveling internationally, it threatened to create havoc across countries. With regard to agro-based products, on the other hand, the issue is usually of above-acceptable limits of chemicals or pesticides in food, which affects both quality and safety of products. If consumers need to be protected from its consequences, then the only way is to be able to withdraw or recall these ‘unsafe’ products from the market. Traceability, therefore, is a tool to manage risk, wherein food business operators or authorities can make those quick decisions in case of an exigency. This forms the cornerstone of any country’s food safety policy. From the consumer’s side, traceability is the critical component that builds the buyer’s confidence – because when a product can be traced all the way back to its source, it sets in place a transparent relationship between producer and consumer. The producer, in many cases, are smallholder farmers, and these two aspects put together is one step forward in achieving global food security. 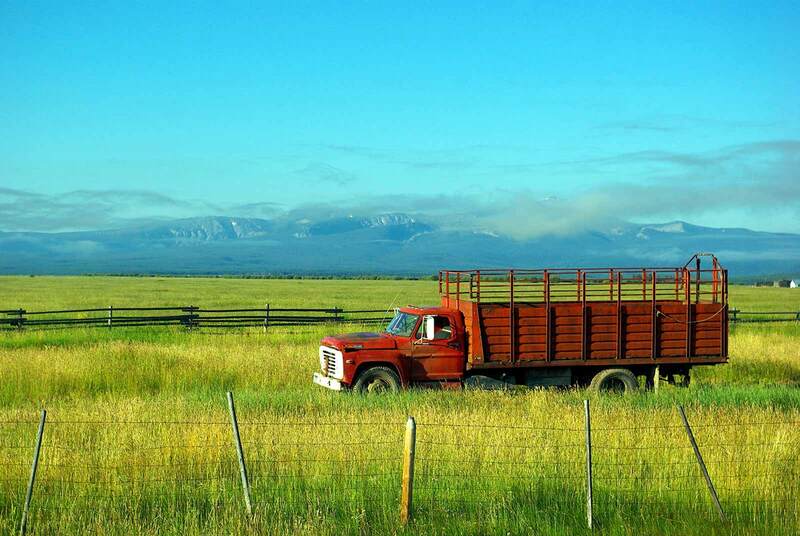 Traceability also achieves a great deal more – such as improving the way farm systems are operated and managed. With data collected on various parameters on a periodic basis, it informs decision making and feeds into program design which ultimately helps farming communities, companies, and consumers to communicate with each other. Through its adherence to standards and regulations, it ensures compliance and safety. A traceability system collects and records information as products come in from suppliers, and are processed and distributed as end products. Therefore, the basis of all traceability systems is the ability to identify things that move along the supply chain.If there’s any discrepancy in any of the consignments of the product, it becomes possible to identify the cause, recall it from the market or prevent unsafe products from reaching the consumers. Food trading systems are far more complex now, and changes in the trading system have led to growth in the global production network. The supply chain is spread across multiple players and international borders. A traceability system becomes mandatory in order to reduce response time when an animal or plant disease outbreak occurs, by being able to provide real-time access to reliable information at any point in the chain. This minimizes disruptions to trade, as traceability can reduce the scope of recall by 50 percent and even up to 95 percent. This saves the amount of product that would have been wasted in the absence of a traceability system. In the same manner, food traceability can also reduce out-of-date product losses. In case of high-value products like saffron, vanilla, and cloves – it can help prevent contamination or mixing with a lower value produce, guaranteeing product authenticity. 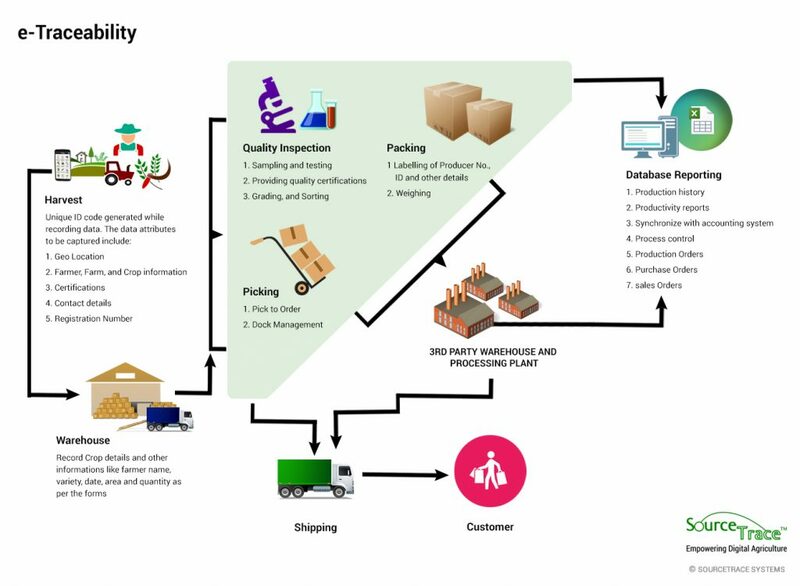 Traceability being all about linking the physical flow of products with the flow of corresponding information, the industry does have uniform requirements so that continuity and transparency are maintained across the supply chain. Traceability has both ‘external’ and ‘internal’ components, external requiring all traceable items to be uniquely identified, and information to be shared between all affected distribution channel participants on product labels and related paper and business documents. External traceability requires tracing back and tracking forward. Internal traceability, on the other hand, means that processes must be maintained between a new product and its original material inputs. Traceability always depends on the correct collection and recording of relevant data, coordinated within the context of a food safety management system. Automated data collection removes much of the time and expenses required for data processing and maintenance. Gathering information for large operations manually is time-consuming because workers must first record information at the point of activity and relay this information into the computer system. This can lead to risks in recording the information correctly. Such errors lead to inventory inaccuracies and stock ruptures. Therefore, most food traceability initiatives rely on technologies to provide efficient, accurate ways to track and trace products and their movement across the supply chain. This includes technology for product identification, information capture, analysis, storage, and transmission of data as well as overall systems integration. SourceTrace System provides traceability applications through its ESE™ software, in which farmer and farm profiles are recorded using enrollment, advisory services, and ICS transactions. Its other features are that the estimated volume of produce is also known by Farmer Organizations in advance based on the farm area. This system works in such a way that a unique ID is generated which identifies the source (farmer) of the produce and links it with all farmer-centric data like certifications, farming practices, and other relevant information. Upstream traceability is unique for each Organisation and SourceTrace ESE™ software has the flexibility to adapt to each scenario. Food supply chains in developing countries rely on smallholder farmers, and many of these farmers’ cooperatives do not have the capacity to put in place a traceability system. 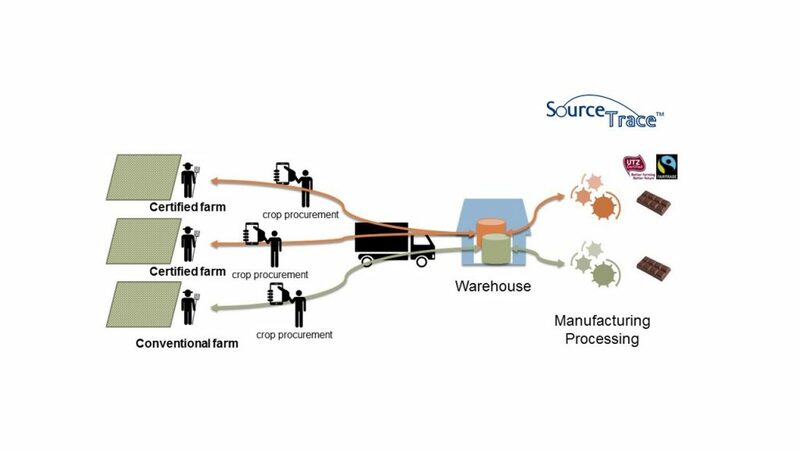 Even in the simplest export chains, food products change hands multiple times, and fully traceable documentation of food product movement quickly becomes very complicated. In addition, each buyer may have their own requirements from suppliers. This is one reason why small enterprises target the local market. But the fact of the matter is that in future, traceability is going to be a norm rather than an exception. So, it would be better for small enterprises to catch up to it. In the same vein, traceability is a mandatory requirement in several developed countries. But developing countries may face significant obstacles in achieving sufficient traceability standards, due to lack of information and infrastructure to implement a system that they perceive as costly. But then, regulations on traceability are here to stay; and the sooner enterprises in developing countries start implementing a system for traceability, the better it will be for them in the long term.